We visited the Meteor Crater for the first time. It is always fun and exciting trip for the family. The museum is small and had interesting to offer. The tour guide is friendly and helpful.It was an interesting tour. You can't go down in the rim and it has a fence because of the people who are trying to go down and it's dangerous and they don't want to take any liability. You can see the crater in the observatory deck where they provided.Meteor Crater used in the early 70s as a test ground for NASA astronauts practiced lunar exploration as the Crater. 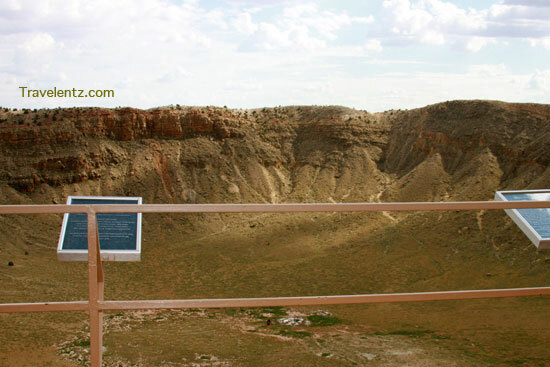 Meteor Crater is located off I-40 at exit 233, then 6 miles south on the paved road. 35 miles east of Flagstaff, 20 miles west of Winslow, in Arizona, USA. This might be change without prior notice. 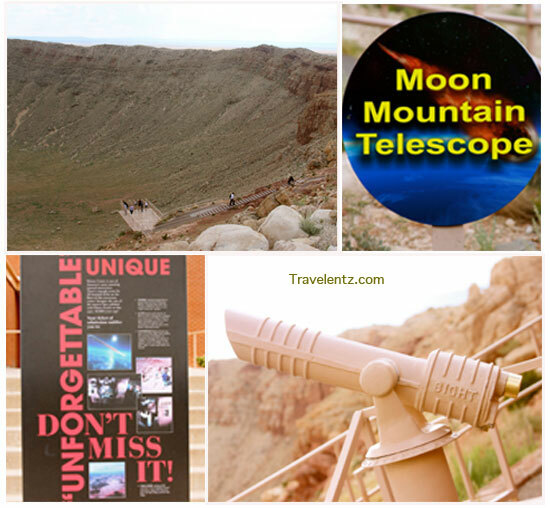 During our tour the Admission prices include 3 lookout points on the rim of the crater, an Interactive Discovery Center, a theater showing movie "Collisions and Impacts" as well as a tour guide. Travelentz is very thankful to see this kind of historic sites before I go forward in my next adventure in America. 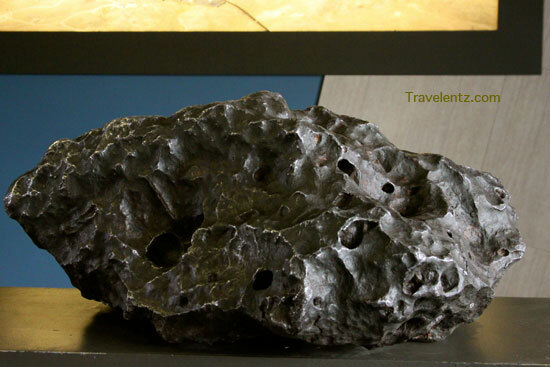 "Weighing in at 1,406 pounds it is the largest piece recovered from the 150 foot meteorite that struck and made Meteor Crater. It was found by Samuel Holsinger in the early 1900’s." I wanna visit that place! :) you and ate Betchai have featured all these tourist spots in Arizona that would surely get others wanting to go too. That meteor crater is HUGE! That's amazing. Love love your travel photos sis as I get to travel as well. we just visited this month Mhie during spring break, and somehow, the fee is still the same and what goes with it, but you're correct, it could change soon too. it somehow is striking to be there, beautiful images. I have written an article about this site. Amazing indeed, how Nature shape what we all knew today as Mother Earth. oh, my girl would love to see that Meteor Crater with her own naked eyes. very interesting! wow, this is really cool sis! How come we've missed this one. I guess we went on the opposite side of Arizona. I love going to places like this...very educational! This is a very interesting trip. I don't mind visiting the place with that price. I think it is all worth it. Bilingual: Is it good for baby or not?